HomeSoul Mates – Eternal Love? The idea that there is one other special person who is a perfect fit for you is very attractive. It allows you to feel the specialness and uniqueness of your love and the sacredness of the bond you have with the one you love. It proclaims to the world and to yourself that this is the One for You, the right, timeless, and everlasting Love of Your Life. As a result, you give yourself permission to commit yourself completely and wholly to this person, because they are your perfect match. Any problems, any misunderstandings, will melt into insignificance within the mutual knowledge that this is a love that lasts forever. The idea of Soul Mates takes the ideal of Courtly Love, developed during the Middle Ages when knights fought to win the favor of some fair lady, to a new, higher level. The romantic ideal of love was refined in the genre of romantic novels, beginning with the works of Jane Austin, until it attained an exalted metaphysical pinnacle as the concept of Soul Mate, in which the bond of love is created and sanctioned by God and an eternal Divine Order. Seen in such a light, anything that stands between you and your Soul Mate becomes a sin against Nature, Reality, Love, and Truth. Clearly, a belief in Soul Mates meets the needs of many people. What are those needs? People need to feel special, and the idea of Soul Mates makes people feel special. People need to have their relationship choices validated so that they don’t have to question their judgment, because that would get in the way of abandoning themselves completely to the unique specialness of their love. In addition, contemplating the consequences of a poor choice gets in the way of the dizzying reality of the moment and the possibilities for future happiness it portends. Why not trust in the Power of Love? It feels beautiful, true, and right. Does it not show disrespect not to trust such a sacred thing? The idea of Soul Mates not only makes you feel special; it validates your choice of partners. It has the additional advantage of justifying bad choices. When the relationship crashes, you can tell yourself that while this was a Match Made in Heaven, it wasn’t “meant to be” at this time. 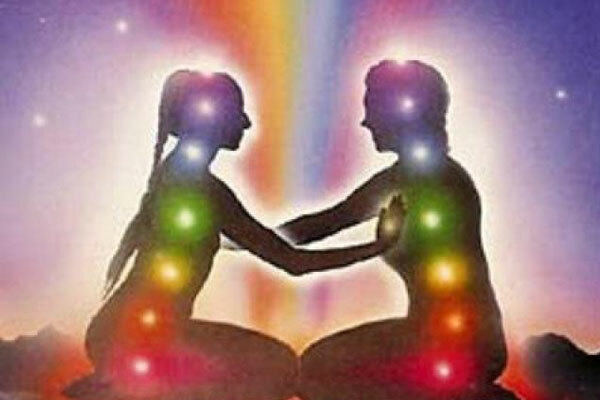 You are able to maintain both your belief in Soul Mates and the rightness of your choice of a disastrous partner. This is also the thinking when your Soul Mate is already in a committed relationship. This complication does not change the fact that the relationship was Meant to Be and that Love Will Find a Way. It’s karma, destiny, and fate that you have found each other over all these centuries, out of all these millions of people; somehow life will change so that you will be able to be together to put the universe into the harmony, order, beauty, truth, and love that was Meant to Be. In the presence of such timeless, sacred love, how meaningful are the social vows of marriage? People do not understand the power and preeminence of Real, Divine Love. How about multiple Soul Mates? What about when you are sure someone is your Soul Mate but then another person comes along and you are even more sure this one is your Soul Mate? You were mistaken before, but now you are sure. You know this one is really your soul mate. How do you know? It feels right; you’ve never felt like this; there is a powerful, spiritual energy not just from one but from several of your chakras to this other person. When you ask them about it, they feel it too. That’s proof. It couldn’t be that they are just saying what you want to hear so they can get what they want from you. It couldn’t be that they feel it too but that the feeling works to validate what they feel and what they want. No; it’s nothing like that. Alas. When a belief is convenient, self-validating, and justifies doing whatever you already want to do, it is wise to take a peek behind the curtain. Is the Great and Powerful Oz really Great and Powerful, or is he a petty carnival operator making money out of generating mass delusion? Asking such a question smacks of cynicism and disrespect. Isn’t it cruel, like taking candy from a child? What harm is the candy? Why can’t one just leave well enough alone? Even if a belief in Soul Mates is a delusion, it is harmless, is it not? Why not just let lovers in love be? Why spoil the fun? Why not just let people find out on their own? What if a baby has a cigarette instead of candy? There are cases of two year olds becoming addicted to cigarettes or alcohol because their parents think it is “cute.” Like cigarettes and alcohol, the concept of Soul Mates is addictive. How else does one explain how effectively it has taken root in the popular imagination? How else does one explain why it has remained viable in some segments of culture for decades? The problem with viewing Soul Mates as an understandable and harmless belief is that it allows you to stand by while lives are wrecked and children are raised in unnecessary adversity. Is it harmless if your daughter has children with her Soul Mate, who turns out to be an alcoholic, gambler, and child molester? What are the consequences for your daughter? What are the consequences for your grandchildren? Are those consequences all in Divine Order? Do you want to spend years of your life worrying about the welfare of your own grandchildren, who are being raised in circumstances that are abusive, but that you can do little to change? The Drama Triangle is a psychological game played between people, as well as in your thoughts and in your dreams. It consists of three roles, Persecutor, Victim, and Rescuer. When you play one role you eventually end up playing the other two. It’s unavoidable. Soul Mates are Rescuers in the Drama Triangle. Gurus are a special variety of Soul Mate. Both lovers and Gurus come into your life to rescue you from loneliness, boredom, and insecurity, to show you the way to happiness, bliss and enlightenment. They give your life meaning it didn’t have before. What’s wrong with that? The problem is that you have fallen in love with your own idealization that you want and think you need. You are ignoring who the other person really is, because that’s not who you need them to be. You want and need them to be your rescuer. But rescuers have a nasty habit of turning into persecutors. How come? At some point your Soul Mate’s behavior will be seen to no longer live up to your unrealistic, idealistic expectations for them. What Guru does not also fit this description? When this happens it is often experienced as rejection or abandonment. You may try many different means to get them to change, to become the person you know that they “really” are. But your well-meaning efforts will be experienced as non-acceptance and met with resistance. Prince Charming has turned into a frog or even worse, a warty toad. Because this is so highly predictable it is amazing that most people manage to fool themselves into thinking that this time, with this person, things will be different. If you like living in the Drama Triangle, you’ll love believing in Soul Mates. You’ll love trading in last year’s model Guru for the new, improved, highly recommended Real and True Guru. Here some questions to ask yourself. Does a belief in Soul Mates make poor judgment about relationships choices more or less likely? Is a belief in soul mates likely to be true – that there is only one right person for you in all the universe and you have found them – or is it more likely that you are indulging in a delusion that validates your current feelings? The inconvenient truth is that believing in Soul Mates is based on fear. It assumes that abundance does not exist in the universe, that this one lover or teacher that seems so special, so right, is the only source of deep, satisfying, complete love that you will ever find in the universe. Wouldn’t such a universe be narrow, petty, and impoverished? It also assumes that you have to settle for what you’ve got, because better is not going to come around. Is that true? How do you know? It is hard work finding appropriate partners and spiritual teachers. You’ll be disappointed and get rejected. You’ll make mistakes and then have to look at why you did so and learn from them. That’s difficult. No one likes being confronted with the fact that, despite their best judgment and strong feelings, they were flat-out wrong or just plain foolish in their choice in partners or spiritual teachers. It’s much easier to leave the choice to chance, magic, and delusional thinking and just pray that reality won’t catch up. However, once you get the hang of it, it’s not so bad being wrong and foolish. I make a point of being wrong and foolish at least six times before breakfast, and then attempt to improve on my failure rate as the day goes on. Pretending you’re not stupid, ignorant, and mistaken takes energy away from enjoying life. Why not just admit to yourself and everyone else that you are a hopeless dweeb? They will not only be taken aback by your honesty but pleasantly surprised when you do something minor right, like remember their name. You can then learn from your mistakes instead of hiding them, as if they were bad or wrong. Mistakes are a good thing; they’re how you learn. The truth about Soul Mates is that there is no perfect match for you; there is no perfect teacher, Guru or Master either. Everyone you meet is a fallible human being. The more you get to know your partner the more you will recognize just how screwed up they are, just like you. When you give your partner or teacher permission to be imperfect you are giving yourself permission to be imperfect. You no longer have to try to be someone’s Soul Mate. Instead you can just be you, which is both more unique and wonderful than any Soul Mate. If you have an eleven year old child, grandchild, nephew, niece, or friend, why not talk to them about all this? You could save them years of heartbreak. You could save yourself years of protecting children from the disastrous decisions of stupid adults. Why not have them read this and ask them what they think? Help them think these issues through before they get blinded by teenage hormones. Love does not have to be blind. Reason exists to improve love. Objectivity and love not only co-exist, but need each other to make decisions that not only feel good, but stand the test of time.